COAL Is Our New Mr. Congeniality. He walked into Last Hope from Hempstead Town Shelter next door like a “pup politician” greeting each volunteer as he if knew the person for ages. 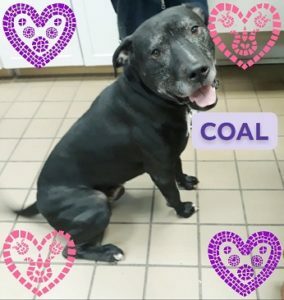 COAL is a Pit mix about 7 years old. He loves to play ball. He made a great impression on Last Hope volunteers who also volunteer at Hempstead Shelter. He’ll try his Best to Make a Great Impression on YOU.